"You'll have to bear with me because I'm actually doing my makeup right now as we're talking," says Rosie Huntington-Whiteley, calling in from London. After a day of press, the 31-year-old model and BareMinerals beauty ambassador is taking 10 minutes to touch up her daytime makeup (yes, all by herself) to transition to an evening look—a bronzer brush in one hand, her iPhone in the other. "The ultimate multitasking woman, right?" she says in a buoyant British accent. "I literally just got my baby out of the bath and dressed for bed, I'm on the phone, and I'm doing my makeup to go out for dinner." If anyone is up to the challenge of conducting an interview and beating her face at the same time, it's Huntington-Whiteley. While sitting in the hair-and-makeup chair feels like a burden to many performers, the UK native calls it her favorite part of her workday. A genuine beauty lover through and through, Huntington-Whiteley has used her celebrity to launch a number of makeup and skincare endeavors, in addition to her BareMinerals contract (which she treasures like a second child, happy to talk your ear off about her love of the natural beauty brand's formulas, textures, colors, and packaging as long as you'll listen). Earlier this year, the model also launched Rose Inc., a website dedicated to sharing all the clever beauty know-how Huntington-Whiteley has accumulated over the years of working in entertainment. And on October 26 in Los Angeles, she will be hosting a public masterclass alongside celebrity makeup artists Katie Jane Hughes and Nikki DeRoest, who will live-demo two of the model's signature looks (tickets are still available here). So it's really no wonder Huntington-Whiteley made room for this interview. Talking about beauty is an important part of who she is. Read on to check out the conversation that ensued, in which we spoke about everything from exactly how she takes her makeup from day to night in 10 minutes to her dream beauty job (if she weren't a model, that is) to what makeup products she'd buy if only given $20. 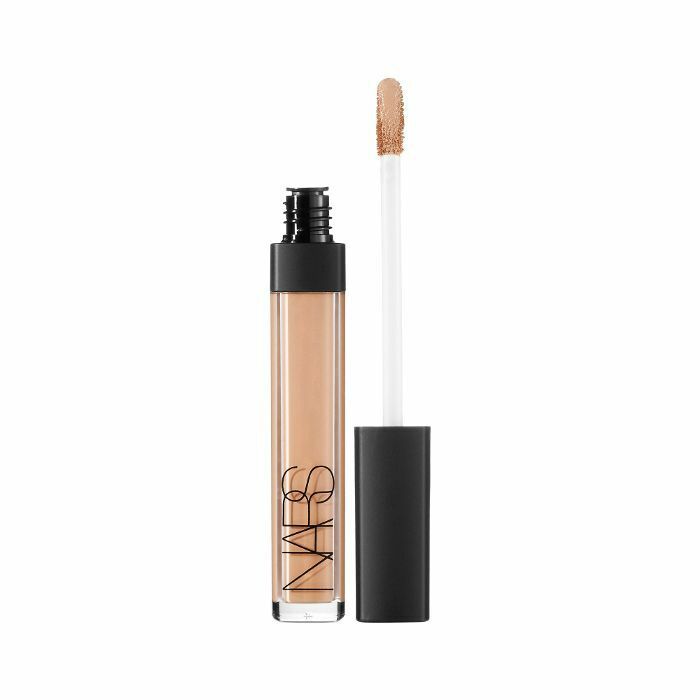 "I'm touching up my skin with a bit of Nars Creamy Concealer in the areas that I need it—under my eyes, on my little visitor friends (aka my zits), and anywhere I need a little bit more coverage. And then I'm using the BareMinerals' loose powder foundation. 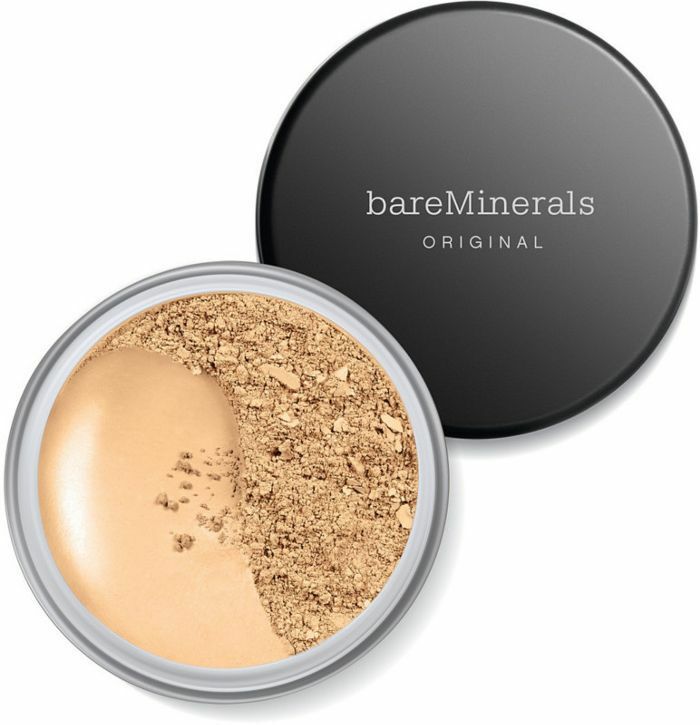 This is my favorite BareMinerals product. I really can't sing enough praise about it. When I first was introduced to it, I really didn't believe it could ever give me coverage, and if it did, it was going to be cakey and drying. And it's the complete the opposite. It gives me such beautiful, natural-looking coverage and evens out my skin tone so beautifully, leaving this really gorgeous luminous finish. It doesn't emphasize pores. 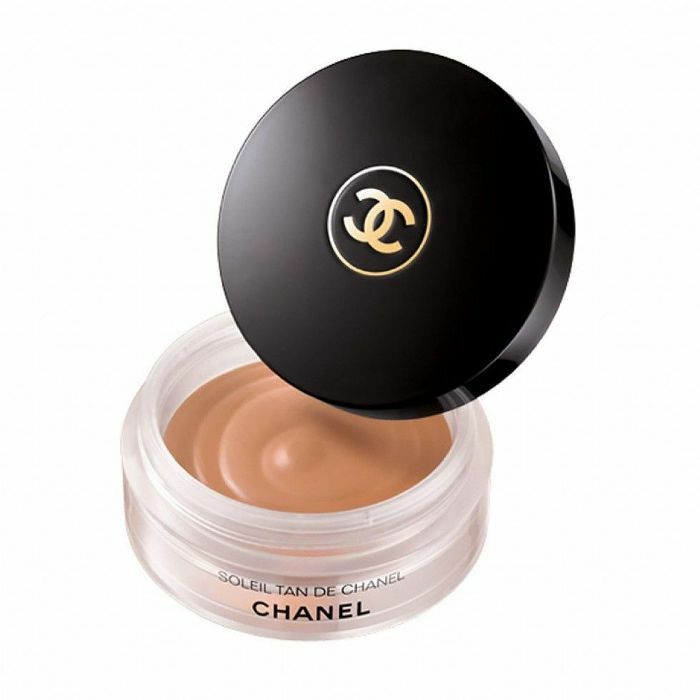 It's also really buildable, from sheer to full coverage. What more could you want in a foundation? It's funny because I work so often and have my makeup done properly, and when I'm on shoots and red carpets, the tendency is to have kind of really heavy foundation. So then in my real, off-duty life, when I'm doing my own makeup, I look for products that still give me performance but that are going to be better choices for my skin. "Then also for tonight, I'm doing just a little subtle contour with the Chanel Soleil, that big round pan of bronzer, which I never, ever travel without. It's my favorite, favorite, favorite. 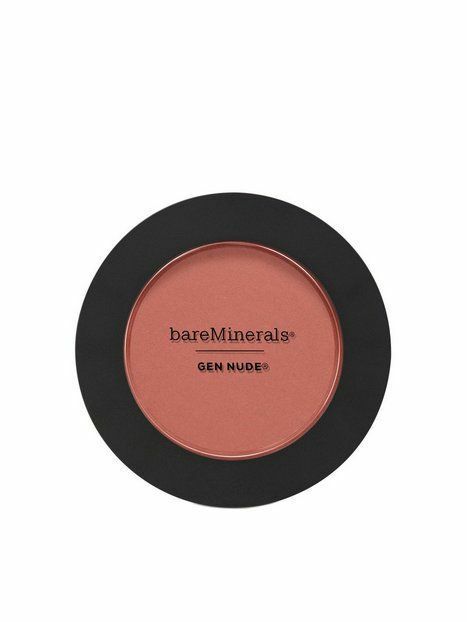 And then I'm gonna use the Gen Nudes Blush from BareMinerals in Strike a Rose, which has this really cool blurring, soft-focus effect on your imperfections and pores, which I'm all about. And then I feel like I'm just gonna do a wash of glittery eye shadow from my Nars Narsissist eye shadow palette called Wanted. I'm traveling right now, I'm in London, and this is a great palette to have on the move because it just has such a beautiful range of colors in it. So since I don't have much time, I'm just gonna swipe one glittery color across my whole eye. Then, loads of mascara. And then I'll finish it up with one of the Gen Nudes Lip Lacquers from BareMinerals, which just has a really moisturizing formula that also lasts and lasts and lasts. I found that I was wearing it a couple of weeks ago and didn't have to touch it up from the morning until I touched up my makeup for dinner. So that's what I'm doing right now; that's my hustle." "In another life, I would have for sure been a makeup artist. And I still think that if everything went away for me tomorrow, my life as a model, if my career on camera ended and no one was calling for me anymore, I would really want to train as a makeup artist. I need a bit more experience working on different people, but I really enjoy doing makeup on myself." "For me, my site just feels like 15 years of my career finally in one place. Every single day in the hair-and-makeup chair, I've worked with the best of the best across the industry, and I've just picked up so much from all these incredible artists. My favorite time of my working day is getting ready—going from being myself to turning into a character if I'm on a photo shoot or seeing the evolution of doing my makeup, like I'm coming to life and ready for the world. I've just always enjoyed it. It's a creative process, a fun process. All the artists I choose to work with are some of my closest friends now. So I really wanted to create a space where people could talk about beauty and I could talk about my passions, from products to artists to experts in the industry, and hopefully inspire people. I also love to hear what my readers are up to. I want to learn from them. I just love connecting with women. And just have fun, really. It's about creating a community surrounding beauty. We're not changing the world. We're just talking about lipstick and having fun." "The one thing I'm always obsessed with—and that's because I struggle with it—is my skin. So I'm always asking my makeup artists about skincare and new facialists and dermatologists to go see. I always approach my beauty routine with the mentality of skincare first, makeup second, because your skin is the canvas for everything you do. So the one piece of advice that I love to give is just to look after your skin, to establish a routine. I love the BareMinerals skincare products. They're really gentle on the skin and leave my skin feeling luminous and fresh and plump and ready for my makeup. I'm always looking for products that don't sacrifice performance but are also clean, which is why I love that BareMinerals is a clean beauty brand filled with natural, from-the-earth ingredients, but they also work." "I'd get a great drugstore blush because I could use it on my cheeks, my lips, and my eyes. I love to wear pink, blushy eye shadow because I have blue eyes, so that really makes them pop. 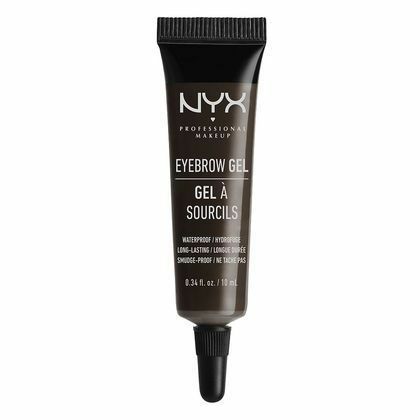 And then I feel like I'd want to have a great eyebrow product, something that's gonna hold my eyebrows down and bring them definition. And that'd probably bring me to 20 bucks, right? You can't get much for $20 these days." What celebrity beauty routines are you curious about? DM me your suggestions @amanda_montell!